Richard Simpson hath made Application for a licence for a Marriage to be celebrated between him and Miss Sophiah Potts Spinster. A Richard Simpson left a will in 1816 naming wife Anna Simpson. If this is the Richard that Sophiah married, she died without children as she was not mentioned in the 1804 Petition of Charlotte Haney vs John Jones. 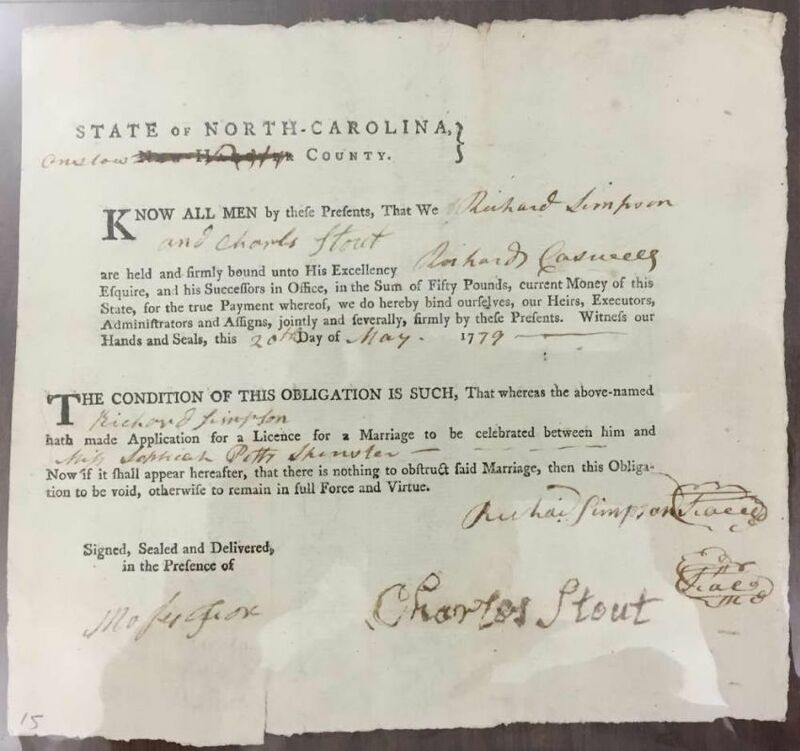 The only Potts names in the Minutes of the Court of Pleas & Quarter Sessions for Onslow County during the years 1766-1810 are in reference to children of the Robert Potts family so Sophiah was likely his daughter. Deed of gift from Rich. Simpson to David Simpson for 50 acres of land proved by William Wheeler. A deed from Edward Simpson to Richard Simpson for ___? acres proved by Thos. Pitt and ordered to be registered.